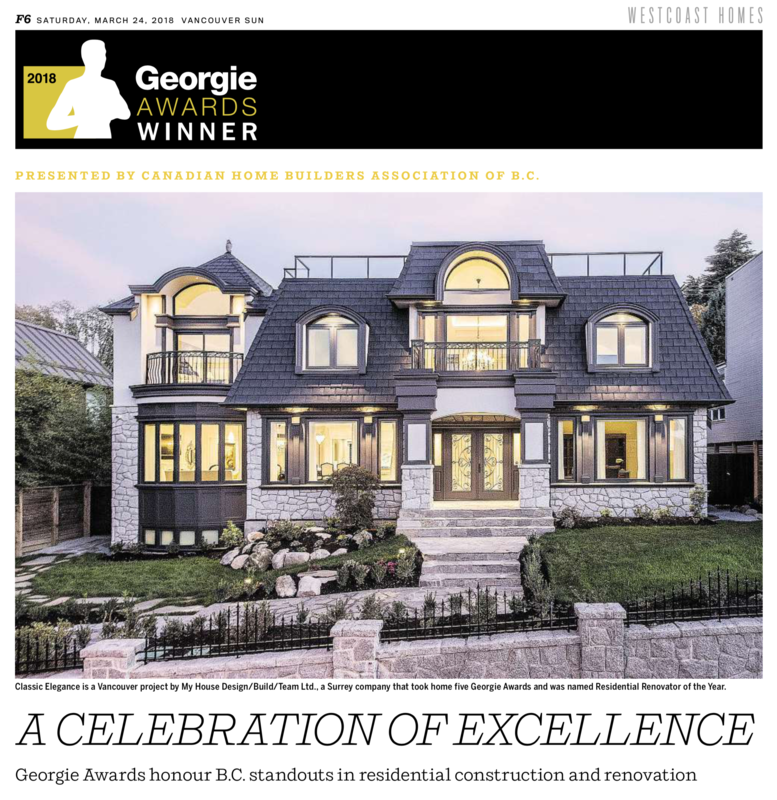 The Canadian Home Builders' Association of British Columbia's (CHBA BC) annual Georgie Awards® have been hugely successful at celebrating excellence in home building. Over the years, categories, criteria, price points and square footage for categories have changed and have been adjusted to keep pace with the housing market. In the last few years, there has been a strong consumer and industry demand for enhanced energy efficiency requirements in new homes and renovations. As a result, that requirement has not only been added as criteria to most categories, but specific categories have been created for the demand. As the years progress and the housing market continues to fluctuate, categories and criteria will be amended.